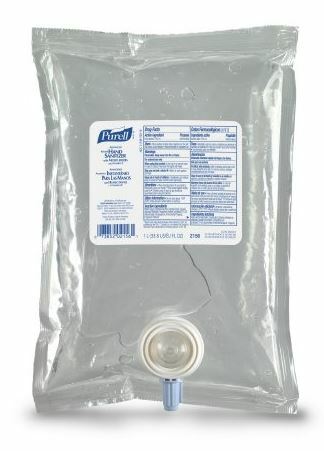 Purell gel hand sanitizer in a 1000 mL dispenser refill bag. 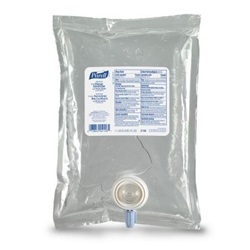 Contains 70% alcohol (Ethyl). Enhanced with aloe, moisturizers and vitamin E. Kills 99.99% of germs and has a fruit scent. Manufactured by Gojo. Comes as singles.